If you have been following this series you will have started to gain an understanding of how widespread the theme of branches is in home decor. If you're just arriving, click back on the links at the end to see my other branch posts. 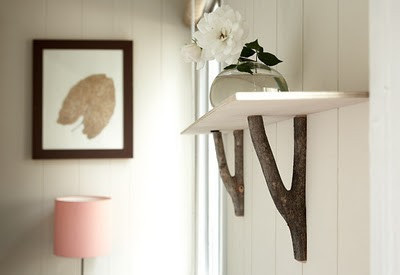 If you have a source of trees and branches, there are so many creative ways to use them in the home. 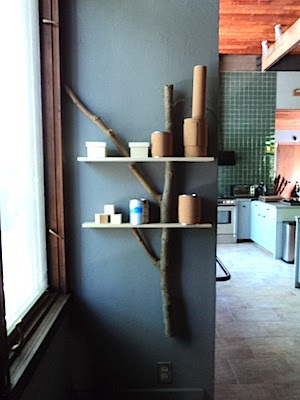 Today, I'll share a collection of applications in which they have been incorporated as shelf supports. I was amazed at the variety. First, a simple addition of a birch branch to a partial box. 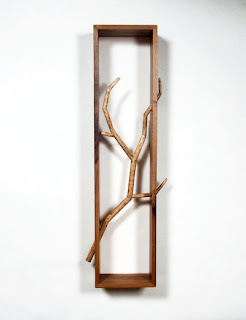 It elevates the simple shadow box to something so much more. This could be an easy DIY project if you start with an orphaned drawer and cut off one side. Imagine using an old drawer with beautiful dovetail joints in the back corners? 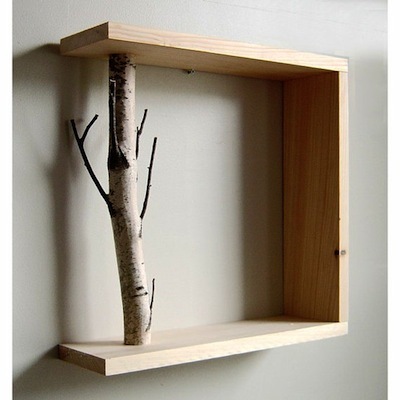 This is one from a collection of birch shadow boxes available on Etsy from Urban Plus Forest. I am loving this shelf unit crafted into a window corner catching the light for a collection of plants. 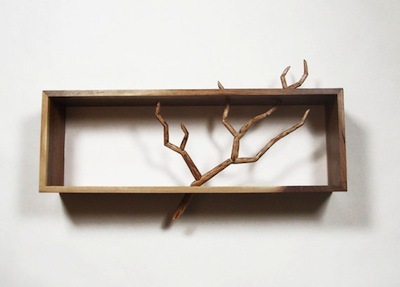 The integration of the branch into the shelf design is stunning. 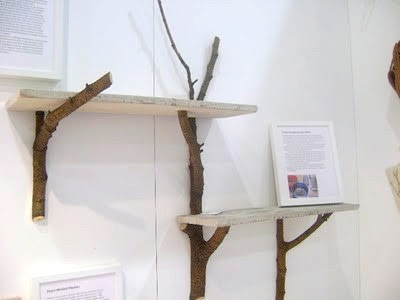 Live Wire Farm makes shelf brackets from branches. 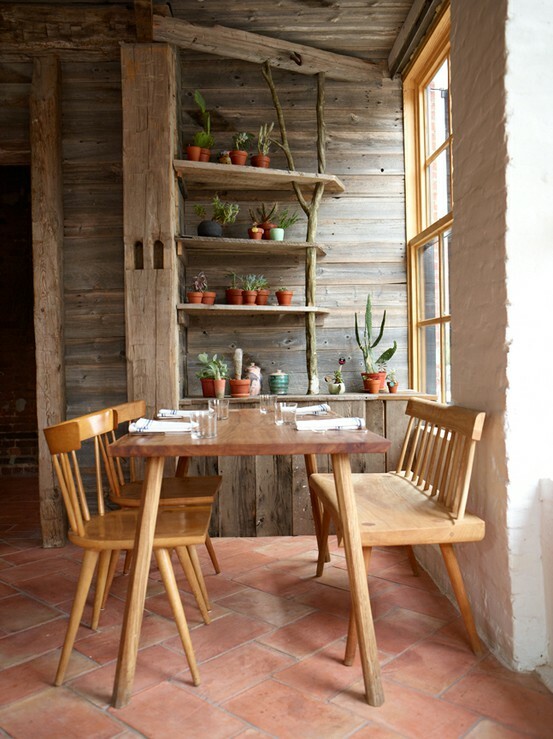 Very simple, rustic yet still tasteful. This construction is quite funky, clearly located in a urban loft. Bringing a little country into the city I do believe. This one is a combination of the above two designs and I love the multi levels dictated by branch location. And over on Etsy I found this series of shelf/shadow boxes that are unlike everything else. In fact the branches are fabricated but oh, I love them so..... They are created by Teresa Audet. Thanks for featuring my work! Love the branch collections you've got going.